We have always been craftsmen working with our hands and hearts to create works of great depth and beauty, and always will be, but there's no way around it, technology is a huge part of our process. It allows us to do things that could not even be imagined by the ancient metalsmiths who first developed Damascus Steel and Mokume Gane. 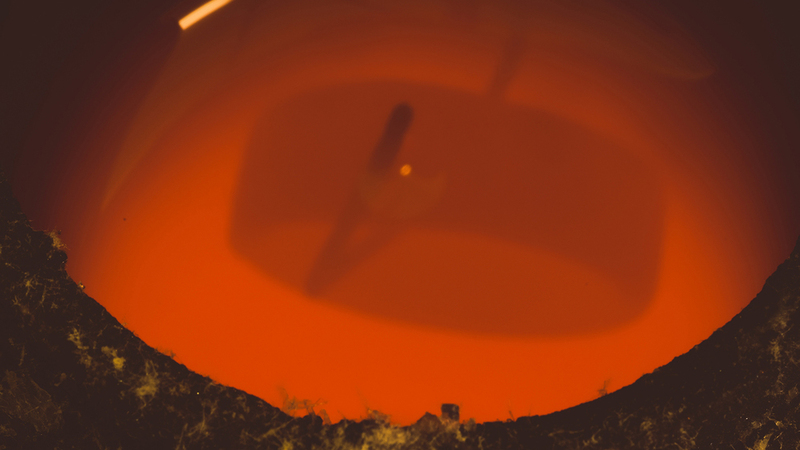 From our digitally controlled molten salt furnaces, to the mass spectrometer in our high vacuum helium leak detector, we have appropriated technology from science and industry to put it to work in the service of our artistic vision. We have developed many entirely new processes of working with our materials and this in turn allows us to make Damascus and Mokume jewelry that is unrivaled in complexity, serviceability and mesmerizing beauty. Our proprietary methods empower us to do this and we are ably assisted by some pretty awesome tools! There are many rings on the market today that are made in a different way. They are are conceived in the wasteland of modern commodity type manufacturing and borrow as much artistic pizzazz as can fit in their model to produce compromised work that only approximates true artistry. The finer details of things like pattern design and proportion, durability, etch depth, even size-ability are sacrificed in the interest of lowering the cost of production. You really don't have to be an expert to see that many of these rings are not designed around expanding the limits of what is possible, but rather working within the limits of efficient manufacturing. At STEVEN JACOB, technology will always take the back seat to creativity. Steve's life work has been to unlock the secrets of metals and create new methods of working with them. And Jacob draws his inspiration in the studio each day from his desire to expand the design possibilities of patterned metals and his drive to bring them to a new generation. We invite you to be a part of this process by checking out the fruits of our labors on display here in this website. We use many, many, tools to make each piece you will see here. Some are big, some tiny. Some are as primitive as a sharp stick, and some mind-boggling complex. All are subject to our vision, informed by our hearts, and dedicated to support our most important tools, our hands. Micro Pulse welding a gold inlay. Torch annealing a Damascus band. Heat treating a Damascus band to impart maximum corrosion resistance with our induction heater. A pair of square Damascus bands roughed out on the milling machine. Creating a durable Fire Oxide finish on a Damascus ring with our proprietary molten salt treatment.